Facial pain, tooth pain, headaches, and even earaches can result from teeth clenching or grinding. Use this deeply grounding, sweet, earthy blend to help both facial muscles and emotions relax. If your teeth are touching, youre clenching your jaw, and you may be grinding at night. See poster-sized insert for a simple meditation exercise that helps you relax and clear your mind. I’m recovering from a head injury that knocked my jaw out of alignment. As a result of this, I now grind my jaw–so much so I have wrinkles around my mouth. Bah! 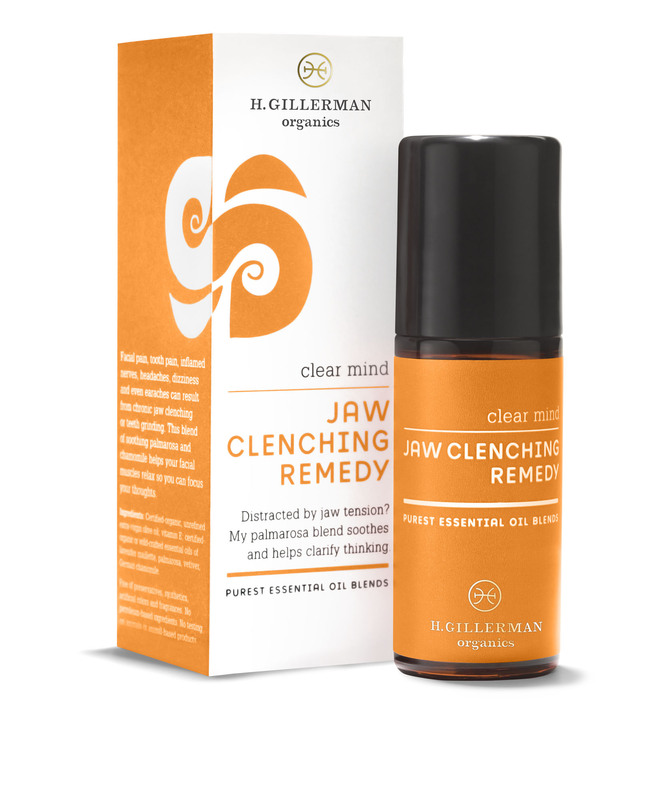 I ordered Jaw Clenching Remedy on a whim, not really holding out much hope. But I’ve healing with Chinese Medicine and was drawn to Hope Gillerman’s appreciation for and mastery of these same arts. It’s been about two weeks now and I’m happy to report that not only does the oil smell heavenly there’s a definite softening of the tension in my jaw. Not only that, but I just noticed that the lines around my mouth are also starting to soften! My guess is that due to circumstances I’m a tougher case than most so if I can already feel improvement, I think others will too. I’m so grateful to Hope for creating such loving and gorgeous products. Any sort of relief from the clenching is quite a gift! I love this stuff and I don’t even clench my jaws! It smells heavenly and also doesn’t bother my super-sensitive (Eczema) Skin. After it’s absorbed into the skin there is this hint of a wild-flower bouquet around me, which is really great – especially in situations when the smell around me is not so great (think: NYC summer day. subway. plane.). I’ll just apply it on my wrists and it really picks me up. Not to mention the great Costumer Service I experienced when I was having trouble ordering Online. I had a friend bring me a bottle solely based on the description of the ingredients and someone mentioning on a blog that they used it as a perfume, and without fail, every time I’ve worn it, I’ve been complimented on my scent when hugging someone. And, of course, the fact that it’s not just “perfume”, but actually has a function makes the product even more perfect! I’ve recently been experiencing really terrible headaches and random toothaches from jaw tension. 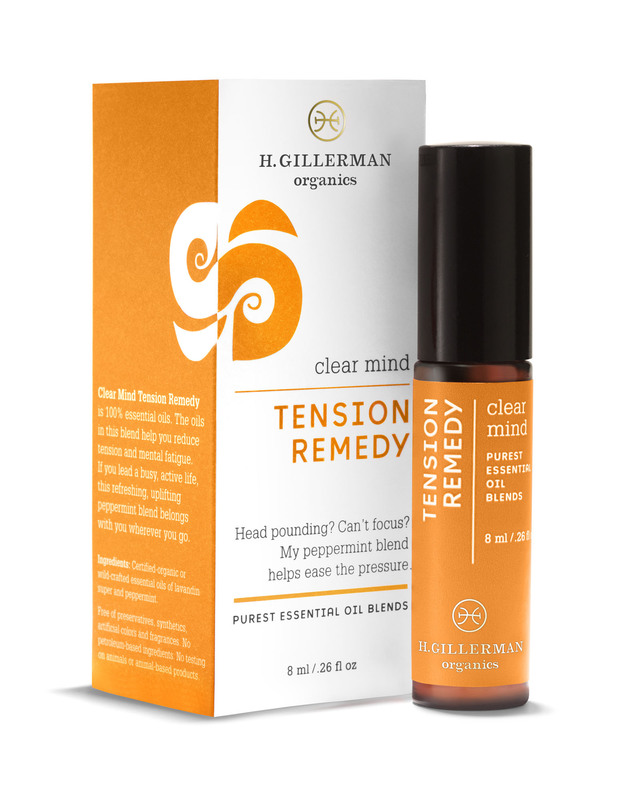 It wasn’t until I applied some of Hope Gillerman’s Clear Mind-Jaw Clenching Remedy that I felt instant relief… like magic.